Clive Anderson and Phil Gayle are joined by Emily Watson, Lord John Bird, Sanjeev Bhaskar and Rick Wakeman for an eclectic mix of conversation, music and comedy. 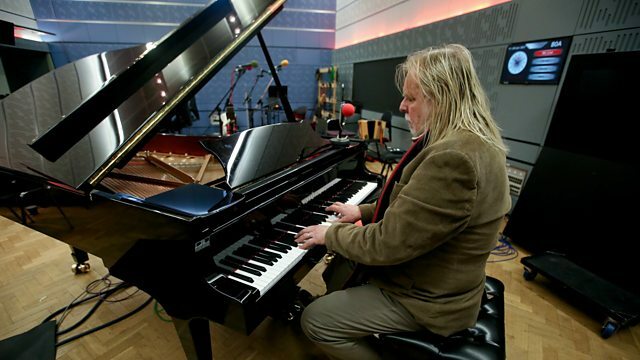 With music from Rick Wakeman and Eliza Carthy & The Wayward Band. The Big Issue Shop is online now. ‘Apple Tree Yard’ is on Sunday 22nd January at 21.00 on BBC One. ‘Unforgotten’ is on ITV at 21.00 on Thursday 19th January. ‘Piano Portraits' is available now from the official UDiscover store. Rick is playing at Boston Spa Methodist Church on Friday 20th January. An Evening of YES music and more is at Cardiff Motorpoint Arena on Sunday 12th and Symphony Hall, Birmingham on Monday 13th March. Check Rick’s website for further dates. ‘Big Machine’ is available on 3rd February on Topic.